Hello! My travel giraffes how are we today? It’s almost the weekend, you can just about smell it so hang in there! Hopefully, today’s post will brighten up your day and make you dream wanderlust dreams. I recently had a late summer weekend break and had such a great time! My bestie and I hopped on the Eurostar early one Friday morning and ended up in the South of France. Here’s my Marseille photo story. I’ve always wanted to visit other parts of France. Don’t get me wrong, I adore Paris and would love to visit again to see more of what’s on offer. However, there’s more to France and I wanted to experience that. It takes a little over 6 hours by train to Marseille and it’s perfect because you arrive in the heart of the city. 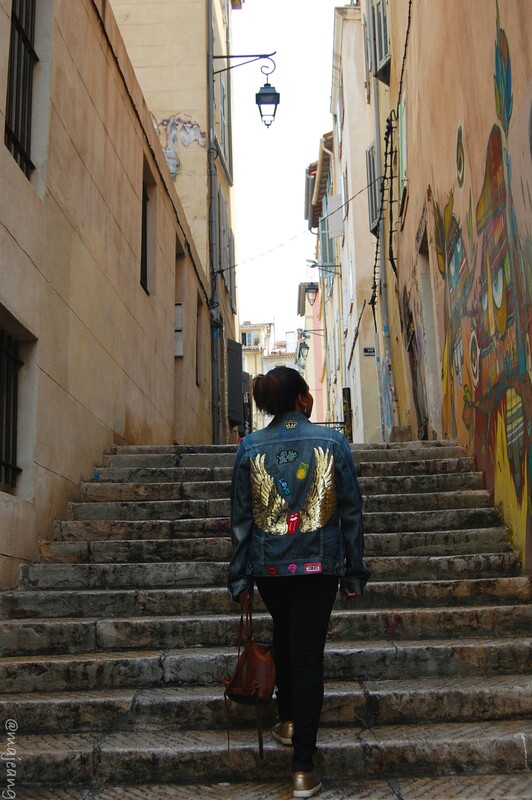 Marseille is a mixture of seaport, cute side streets, restaurants and amazing views! If you’re into history and cathedrals, there’s Marseille Cathedral which pretty much rivals Gaudi’s cathedral in Barcelona. Marseille is more than this photo story could ever show, so go experience it yourself. The people are friendly, the seafood is amazing and the views are serene. A perfect way to end summer 2017. Have you been to Marseille before? What was your favourite memory? Tell me in the comments below and thank you for subscribing.